Maybe that&apos;s all that needs saying to introduce the first novel in more than 20 years by the celebrated and controversial playwright and screenwriter, who has so often made the city a signature in his works. It&apos;s a story of the mob era: hits ordered and adversaries iced; hooch in trucks which winds up in teapots; gunsels, madams, made men and molls. 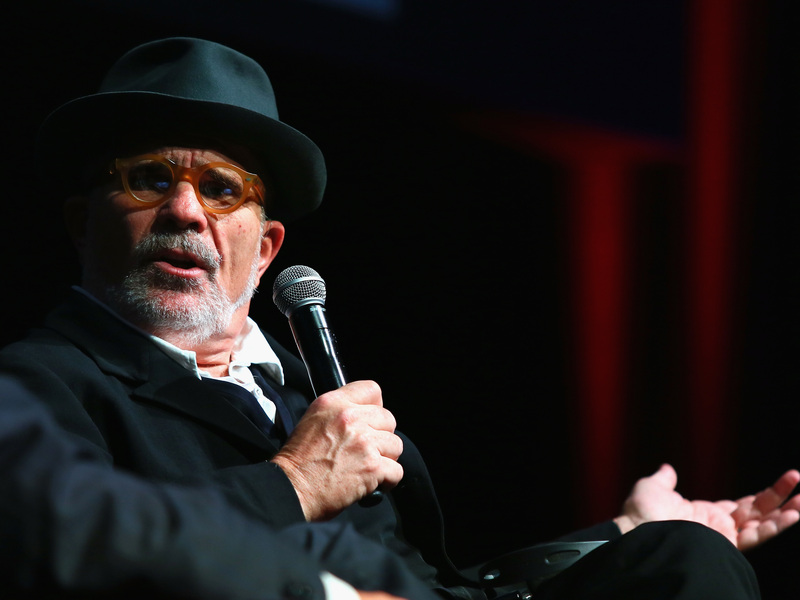 "You know, I was thinking a lot about historical novels," Mamet says. "And Mario Puzo wrote The Godfather -- and then of course he and Francis [Ford Coppola] made it into a movie, which is rather different than the book. These were the stories that they grew up with. That was the stuff that being an Italian-American, whose grandparents had been connected with the immigrant generation and thus with the mob, just like Margaret Mitchell grew up with stories of the Old South. And in Chicago in my generation — I was born in 1947 — you grew up with stories of the mob, because my parents were the immigrant generation, and all the parents of my friends were the immigrant generation, and those were the people whom they were associated with, or were their adversaries starting off in America. So when you grew up in Chicago in the &apos;50s, these were the stories you grew up with." His new novel is simply titled Chicago. He spoke from NPR West in Culver City, Calif.
Well, I don&apos;t know – I mean, the whole trick to art is what you leave out, of course. Because I&apos;ve been looking at the Olympics — maybe you have too — and there are some figure skaters who do everything correctly, and admire their athleticism. And there are others who you just — your jaw opens and you&apos;re struck by their grace, because they aren&apos;t adding anything to it. You know, there are a lot of pianists who can play Bach, but there&apos;s only one Glenn Gould. And if you listen to Glenn Gould, you think, "Hey, I can do that," because he left everything out. And that&apos;s what art is. Well, it&apos;s true. You know, I&apos;m over in Culver City, and there&apos;s a huge billboard about marijuana delivered directly to your door, OK? So what does government do? OK, when they can&apos;t make money or gain votes from combating sin, they take over the franchise. "Oh, you can&apos;t play the lottery, you can&apos;t play the numbers, oops, but you know, we&apos;re going to take over the lottery." So one of the themes of the book is the Chicagoan way of looking at the world, which is: Nothing&apos;s on the level. Which, as far as I can tell, is true. I wrote a book once called Some Freaks, which is kind of how I always thought of myself. It&apos;s what I do all day — I sit alone in a room and dream up stuff and write it down, just doing the best I can. Someone said to me, "How do I write like you?" I said, you know, "I have to, you don&apos;t."
And just keep staring at it until you get so sick of yourself. You might write something. Because one doesn&apos;t know the difference between "this is a terrible idea" and "there is something so deep inside of me that every atom of my existence is resisting it." Because that might be genius. You don&apos;t know! Because not only does a good writer throw out what the others keep — a good writer keeps what the others throw out. Sarah Handel and Viet Le produced and edited this interview for broadcast. Patrick Jarenwattananon adapted it for the Web.